Barbara Chinn is a native Washingtonian. “I had worked with a couple of friends who had been stricken by AIDS back in the very beginning, in 1981, 1982, and lost them. It was during my work in property management and having to protect the anonymity of a gay tenant that [I decided] I was in the wrong business, or shall we say, I wanted to redirect my skill sets to something that would help the community. For over twenty years, Barbara Chinn has done whatever needed to be done to provide support and education to a community gripped by the AIDS epidemic. She has used her management and organizational skills at Whitman-Walker Clinic to provide housing, direct prevention efforts, oversee volunteers, and lead the Clinic's Max Robinson Center. Chinn redirected her skills to AIDS support from a career in property management in 1987when she joined the staff of Whitman-Walker Clinic as head of Schwartz Housing Services, overseeing five houses for people living with AIDS. As an AIDS educator, Chinn acquired her knowledge of AIDS education and support from living it and from learning it on the job at the Clinic. She used that experience in her educational talks and seminars on HIV to organizations such as ICCAN and Impact DC that had organized to provide support in the African-American gay community. As Whitman-Walker's Deputy Executive Director, she managed the Clinic's volunteer resources, prevention and education services, and housing services. On the planning team for the Max Robinson Center in Anacostia, she helped convince the Clinic's board of both the need for a clinic and the existence of a supportive LGBT community east of the river. Chinn's ability to manage relations with the local community in Anacostia and her property management skills helped establish the new center. In 1995, Chinn took over leadership of the Max Robinson Center. 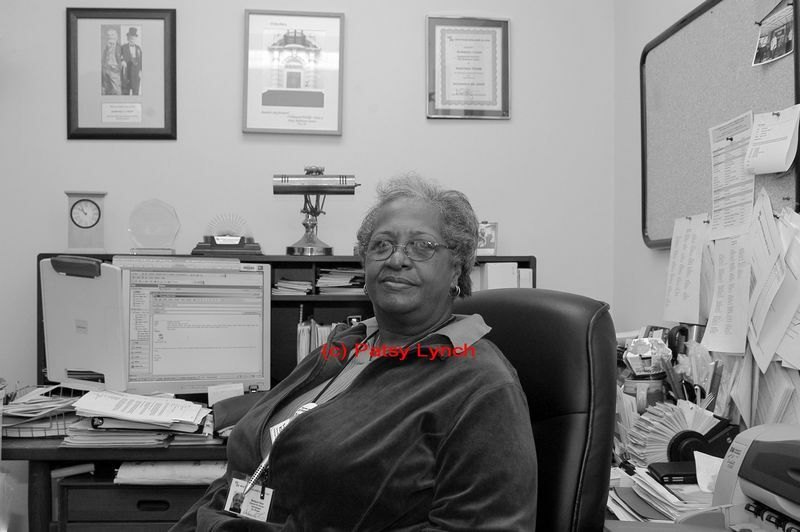 From the outset she had to overcome resistance to the center from some in the Anacostia community. Chinn also oversaw a major transition in organization and personnel. Leadership of Max Robinson Center was Chinn's personal commitment to ensuring the community had a center responsive to community needs. To the complaints that the Max Robinson Center would bring AIDS east of the river, she responded that AIDS was already there and proceeded to build a positive image for the Center. Now Chinn's challenge is to find enough space for the center's growing services to an increasing number of clients.